Radiation therapy is a highly skilled and important field in the realm of patient health care services. At Cambridge Institute, we offer a 24-month Associate’s degree program that is open to all students without a prior medical background or education and involves industry current machinery with hands-on experience to provide the best foundation for a successful career in this booming industry. Radiation therapy involves the treatment of diseases with the use of penetrating, high-energy radiation beams. One of the most widely known uses of radiation therapy is for the treatment of cancer. Radiation treatment of cancer can be used alone or combined with other methods such as chemotherapy. During treatment, radiation therapists must accurately record and administer prescribed treatment by a radiation oncologist. Radiation therapists are in immediate contact with patients throughout the duration of their treatment and must possess good interpersonal skills to be able to effectively describe procedures and possible side effects. Therapists are also responsible for referring patients to physicians, care takers or social service professionals when necessary. Becoming a qualified, competent and successful radiation therapist requires a lot of hard work and dedication to excellence. At Cambridge Institute, our 24-month Associate’s degree program at our Delray Beaah, FL (West Palm Beach area) campus Radiation Therapist Program implements all of the training necessary to prepare prospective professionals in this industry to achieve a fully rewarding career as a radiation therapist. We focus studies on addressing all of the clinical, theoretical, technical and psychological aspects that students will likely face while performing their duties in the workforce. All of the equipment that we use as part of our hands-on clinical exercises is on par with the current, advanced technology being used in health care today. After graduation, students will be able to apply for jobs in a variety of medical settings such as hospitals, universities and clinics. 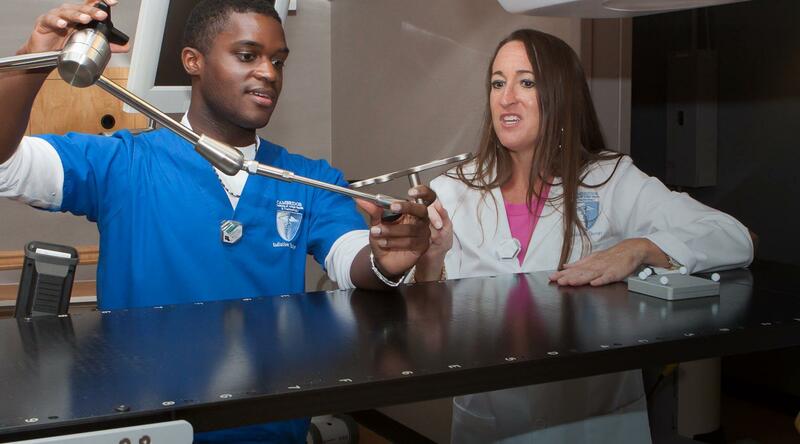 Contact the staff at Cambridge Institute to learn more about the rewarding benefits and opportunities that pursuing a career as a radiation therapist through our Radiation Therapy Program in Delray Beash, FL (West Palm Beach area) has to offer today.